Lawrence and Smith, what a great combo, but adding Michael Bay to the mix, eh I don’t know? Miami narcotics cops — wild, single Mike Lowrey (Will Smith) and mild, married Marcus Burnett (Martin Lawrence) — are hot on the trail of master crook Fouchet (Tcheky Karyo), who’s snatched $100 million worth of heroin. To get their only witness (Tea Leoni) to talk, Smith and Lawrence must pose as each other, swapping lives as they work the case. Right from the get-go of this film you will probably notice that its basically the same old approach to any buddy-cop film that has come around in the past 15 years. The plot seems to be the same from all other films like Lethal Weapons 1,2,3, and 4, and Beverly Hills Cop 1,2, and 3. The obvious cliches are all over this film. When something starts to lag, its always needed to add in a car chase, or a huge explosion. And with Bay here having him add in these huge explosions and chases, it makes the film very exciting and fun, but not quite original which I though they could have done with its two great leads. The moments in this film actually are funny. Humor plays very well in this script and although it does seem a bit obvious that some of this is improv, it still plays out real well, especially with Smith and Lawrence in the roles. Smith and Lawrence are a great duo on-screen together, honestly. Despite all the obvious buddy-cop cliches, the film seems to have these two shine the most in roles that actually show their star-power. Both have wonderful chemistry that every time when on-screen together just light up the screen, and provide plenty of laughs as well as the action. I think these two should have been casted in a different movie that wasn’t too reliable on explosions and crazy action, but hey at least they do the best they can. 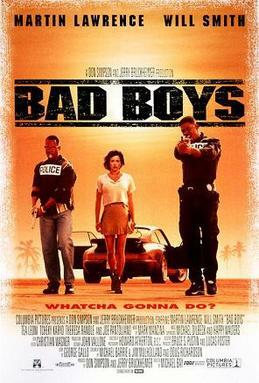 Consensus: Bad Boys has the same formula we have seen many times before in all buddy-cop films, but features exciting action to mix with a great on-screen chemistry between both Lawrence and Smith, although I think they could have done something different.